West Ham United manager David Moyes has come in the defence of Javier Hernandez following his struggles to claim a regular spot in the starting lineup. The Mexico international began the season as the first-choice striker under Slaven Bilic, and his brace against Southampton made him a fan favourite in the early phase of the campaign. However, he has since netted on only two occasions, and the arrival of Moyes at the London Stadium have coincided with his demotion from the first XI. Hernandez has yet to make a league start under the tutelage of the former Everton manager, but the Scot nevertheless backs the Mexican to regain his form, just like Marko Arnautovic in recent weeks. "You would have to say the form of Arnautovic and Antonio at the start (of my tenure) has made it difficult. When I joined, nine-10 weeks ago, Javier was injured so we had to go with Marko and Michail up front in different games. They have both done really well. Chicharito is a really good player. His finishing ability is as good as there is. He thrives on balls in the box. Maybe in a lot of games we have not been able to give him that service." Meanwhile, Moyes suggested that the club are not interested in selling either Andy Carroll or Hernandez during the winter transfer window, and their suitors will have to come with a significant offer in order to lure them into a potential agreement. Carroll has recently emerged as a shock target for Premier League giants Chelsea, whilst Hernandez is of interest to former side Manchester United, who are likewise looking to bolster their striking options. 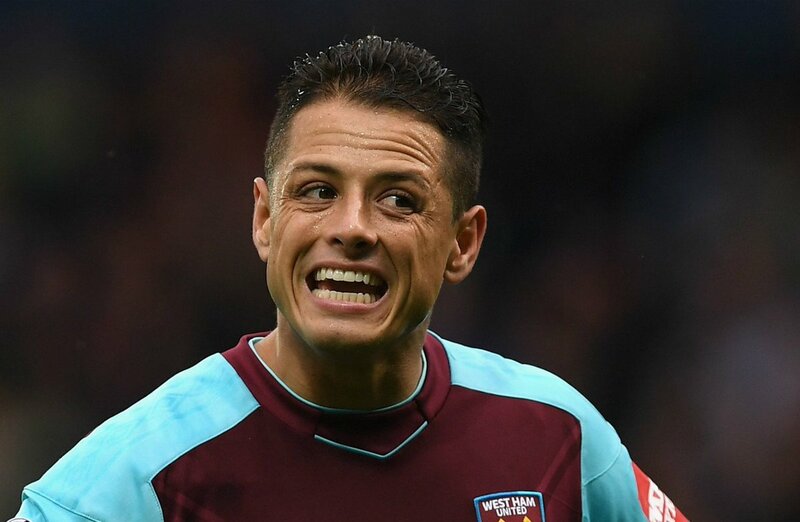 Hernandez was an unused substitute for the Hammers this weekend as they clinched a comfortable 4-1 win over Huddersfield Town. The victory takes the club to 11th in the standings, just one point adrift of 10th-placed Watford.